Cold weather getting you down? Head off to Cocoa Beach Florida for Spring Thing 2010 on February 19th – 21st to enjoy some warmer weather, and bunches of MINIs, Minis and Mokes. fellow MINI owner Debbie Lind from Diver Acquisition and Retention, LLC has passed along information about a discount for MINI owners to attend the Our World Underwater show held at the Donald E. Stephens Convention Center in Rosemont, IL on February 19th -21st. There will also be a chance to win a MINI Cooper, and other fabulous prizes..
Our Annual indoor kart racing event returns in 2010 with a new venue, new racing format, and new prices!! WRAPUP: 36 people showed up ready to do battle at Melrose Park Indoor Grand Prix. After an orientation we headed out to the track, and broke into 3 groups doing 4 races each on the large track. Many people hung out afterwards for pizza, conversation and bench racing. Huge thanks to Brett at Melrose Park Indoor Grand Prix for coming out on his day off to get us going, and for making this such a fun event. Please send links to photos or video to steve@chicagominiclub.com and I will add them here. 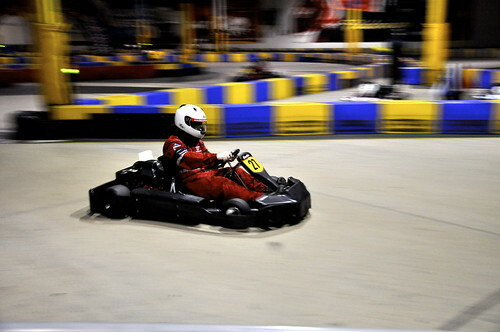 Only one more week till registration closes for our annual Kart racing event. Check out This Post for all the details!! WRAPUP: Great friends, great food, presents and a great way to wrap up the year. We had a big crowd of old and new MINI friends, and lined up the block with MINIs. 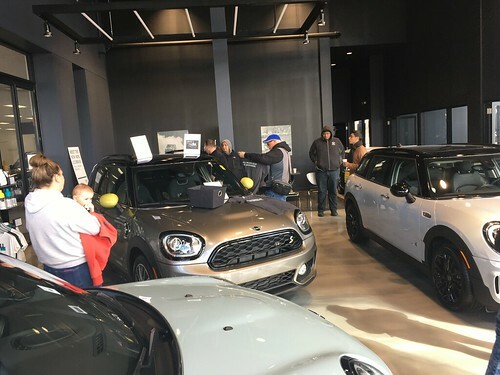 Huge thanks to Taylor for again hosting such a fantastic party, and thanks to everyone in the Chicago MINI Motoring Club for making our club such a nice and fun place to be!! WRAPUP: The 6th annual Starved Rock drive is in the books, and it was an amazing trip. The late November weather turned out beautiful, and we wound up with 37 MINIs lining up at the beginning of the drive. Our first stop was to the Minooka BMW/MINI Distribution Center where we were welcomed with open arms by many of the staff who came in on their day off, as well as the Mayor of Minooka!! We were treated to donuts, cookies, fruit and drinks and given an overview of what the distribution center was all about. There was a MINI quiz, with MINI caps awarded to the winners. We then took a tour of the center to see where things were shipped, stocked, and packed. It was impressive to see how clean and efficient everything was. We then lined up our cars for a group photo opp, and were presented with a framed poster signed by all the distribution center employees (and we signed another poster that will be displayed at the center). Next stop was a quick lunch at the Minooka Culvers where we took over the dining area and parking lot. We then headed out on some quiet back roads to visit the Windmill farms near Marseilles for a quick photo stop and on to the final leg to Starved Rock State Park. Huge thanks to Jeff and Broderick from MINIUSA and Robert, Carla and all the staff from the Distribution Center for treating our club so well and arranging such a fantastic visit, and to Gary for help with ideas and planning for the drive route! !